Godfrey Cornwall lived for many years with his wife Sybil and daughter Valerie in Springwell Close. Godfrey was born in 1906 and spent his early years in the Welsh mining community of Merthyr Tydfil working with his father at the coal face. As a result of the coal industry going through difficult times in the 1920's Godfrey was unemployed and decided to seek work elsewhere. Rickmansworth Urban District Council (R.U.D.C.) were now providing a general household waste and rubbish collection system and used F.G. Hall as their contractor. 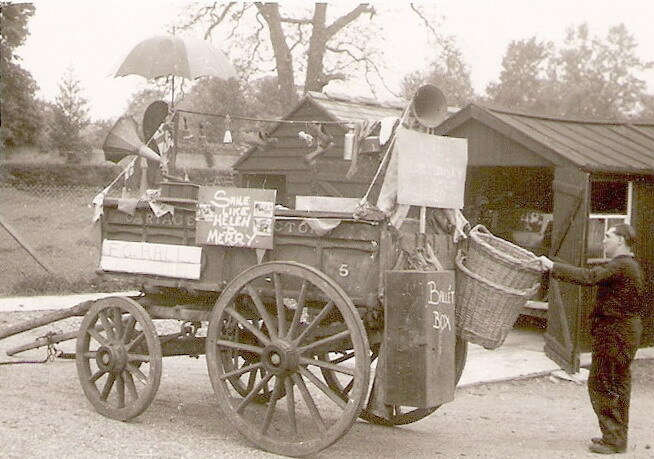 Godfrey worked with Bill Rivett on the dustcart which was then a horse and cart. As a Welshman, Godfrey had a fine singing voice and would often sing whilst collecting. It was not long before he became recognised and residents would listen for 'the singing dustman' with the horse and cart when their rubbish was due for collection. © c1930. 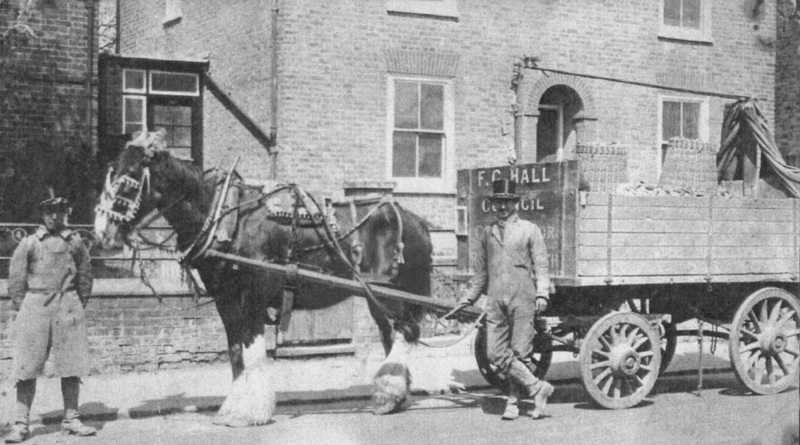 F.G. Hall the Council's Contractor. Collections were very basic, rubbish was just thrown into an open cart. One can imagine the smell and flies in summer! © The date is unknown for this image except the names on the reverse are F.G. Hall dustcart, Godfrey Cornwall and Bill Rivett. It is uncertain whether the cart was being prepared for an event or is this the normal cart's appearance for collecting days? Is this Godfrey or Bill attending the cart? Godfrey met Sybil Boddy and they were married in the Rickmansworth Baptist Church in 1934. 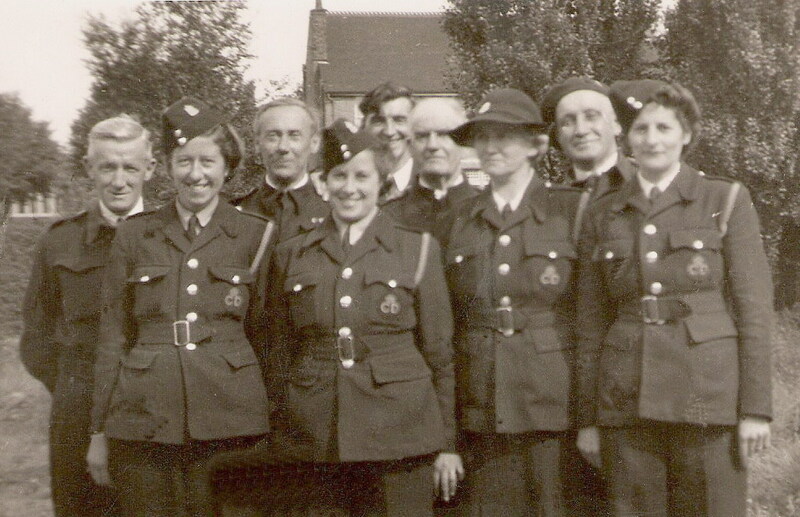 When WW2 began Godfrey was probably living in Springfield Avenue as he became an Air Raid Warden in Croxley Green. Godfrey had become interested in the local history particularly in and around the Rickmansworth district. This was shared with several well known local townsmen including Albert Freeman who started with the R.U.D.C. in the mid 1890's. 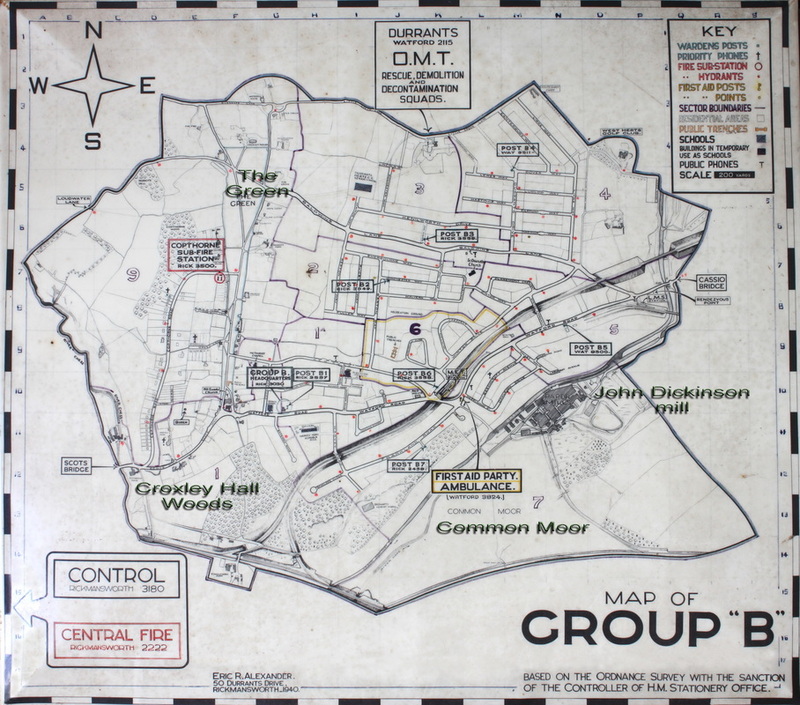 Albert was the council's surveyor and responsible for a wide range of council business. Both were often approached for advice by distinguished professional people concerning historical artefacts. 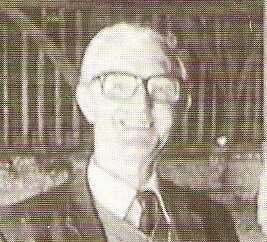 Godfrey was offered a change of career from the dustcart, working in the council offices in the Rate Collection office and remained with the council until his retirement in February 1971. During the 1950's Godfrey joined a group of local residents and registered with the Workers Educational Association (WEA) for adult education classes. This was founded in 1903 and was an opportunity for adults to learn and enjoy new and social interactive interests. Godfrey joined a local history group and this was so successful the Rickmansworth Historical Society was formed from this in May 1954. 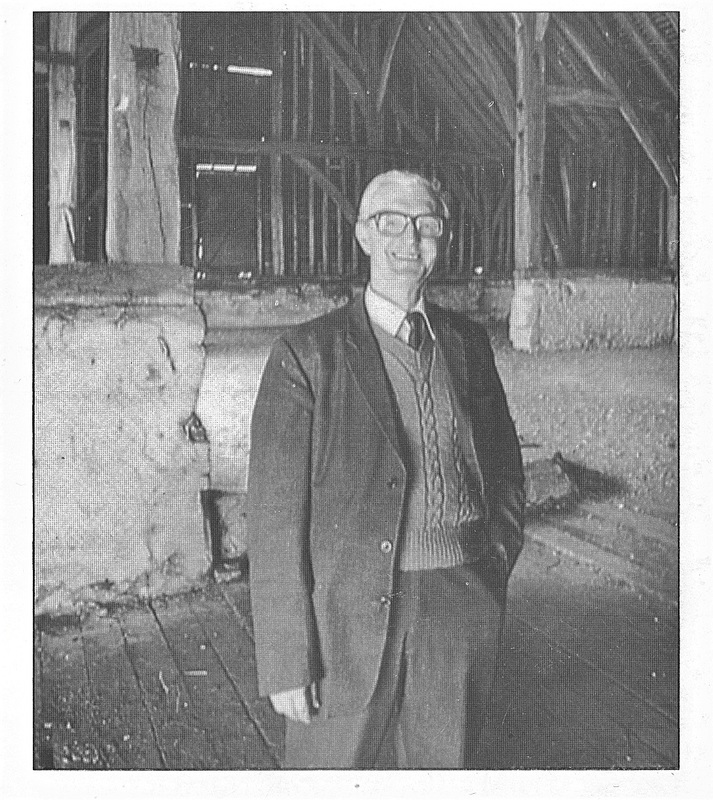 Godfrey became their first chairman and he soon became recognised for encouraging and seeking out so much of the early history of the district. Living in Croxley Green, the early village was of particular interest to Godfrey. The Rickmansworth Historical Society soon began publishing newsletters and for many years the successful Rickmansworth Historian.This magazine produced articles which are still referred to for reference on a wide range of local historical subjects. The Green with its houses built about its periphery is a typical example of settlement growth round a village green, early maps of the area show this feature as well as the mediaeval pattern of the earlier homesteads each with their 50 acre holding, but the development of Croxley which began just over a hundred years ago has destroyed this ancient pattern and with it the old field boundaries. Up to and until the outbreak of the 1914-1918 war, the Green was the centre of village life, those four years caused many changes not only in Croxley but in the country as a whole; life was never the same again, the annual fair held on August Mondays was discontinued, football suspended during the war, ceased to be played there afterwards, cricket on the Green did survive until the late thirties and like the old roller that stood under the hedge has gone forever. War number two finished off Cherry Fair, otherwise Cherry Sunday, when for three consecutive Sundays during the cherry harvest visitors from round and about made their pilgrimage to the stalls or counters set up between Stone's orchard and Parrotts. Gone too, the earlier picture of Thomas Luckett tending the flocks of sheep and herds of cows that exercised the ancient rights of grazing over its 28 acres. The Church which dominates the south end is a comparative newcomer, dedicated in 1872, built upon a piece of land that had become an island when the Hatfield Reading Turnpike Trust made the roadway that fronts the Church Hall at the beginning of the 19th Century. The Church Hall replaced a row of ten cottages built in 1837 that rejoiced in the name of Berean Cottages but better known locally by their nick-names, "Penny Row" and later "Heroes Terrace". Hollow Tree House was once a farmstead, its land was sold in 1864 for development, the first roadway made being the present New Road. A little way along to "Providence Hall", or "Doggetts" as it was known to the "old timers", a cottage of 17th Century date and obviously an intruder, abutting as it does against the boundary hedge of Hollow Tree Farm. Parrotts with its 17th Century granary is a multi-period house, timber framed of earlier days to almost late 19th Century. Lovett's, again the name of an earlier occupier and the memories of the geese of Mrs. Sear, who exercised their legs and beaks upon the grass. So to Tudor Cottages, late intruders, built by Miss Bentley, who occupied "the Pavillion", now "The Grove", for her coachman and gardener, the cottages having been built from the bricks of the Old Dissenters Meeting House that once stood in Chapel Lane, the name given to that stretch of roadway from the corner of Baldwins Lane to the, cottages at Little Green. The Meeting had been registered in 1816, the minister being Nathan Sharp. The Grove was built in 1830 by Miss Bentley as noted above, she was also the owner of Killingdown farm, known in the I8th Century as "Little Waterdell" in 1839 the farmer was John Owen, the acreage being 32. The focal point of the Green is Croxley House, the middle portion dating to 1770, the home at that time of Thomas, Lord Hyde, later 1st Earl of Clarendon. Previous to this purchase two cottages had occupied the site. In 1794, the 2nd Earl sold the house to Humphrey Cornwall Woolrych, who enlarged the house by adding two wings. It has seen many occupiers since that time and is at present a house for the elderly managed by the W.R.V.S. At the end of Chapel Lane are the Little Green cottages, restored but of 17th Century date and alongside the roadway the furthest of the five ponds that straddled the Green, this pond is the last retreat of the Common Newt, a creature captured by many generations of Croxley schoolboys in the past and it is hoped by many generations to come. The Coach and Horses, "The Artichoke", reminders of village days, when teams from each house played one another at quoits, a game now defunct in this area, but what a pleasing sound it must have been in those summer evenings as quoit struck quoit near the peg. The "Artichoke" is the older of the two houses, its narrow bricks of Tudor date can still be seen at the rear of the building. The house was in occupation by the family of Austin for more than 150 years, they were also farmers, farming the land at the rear of the house to the fences of Scot's Bridge Farm. The "Red House" is of the late 18th Century. 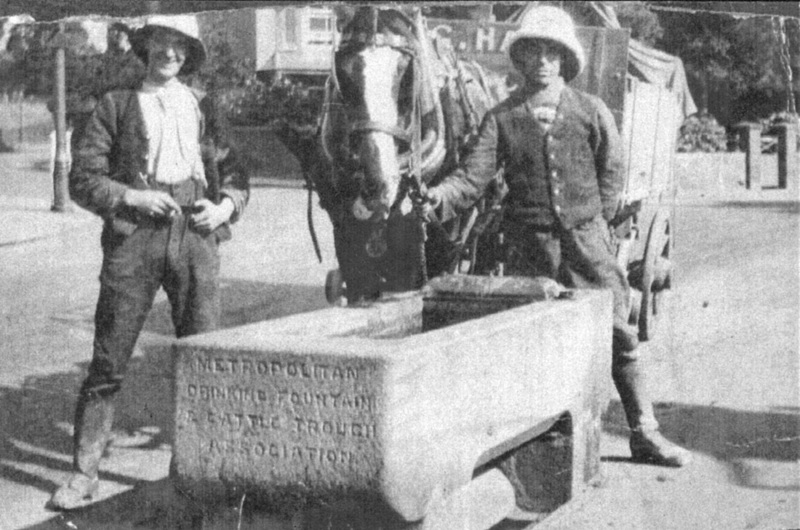 At the entrance to Copthorne Road was a blacksmith shop where the horses of the farms around the Green were shod. The sails of the windmill no longer show above the housetops, a wild wind one morning in 1890 blew two of the sails away and the miller, who was ill at the time was unable to repair them. The mill had been built at some date between 1841 and 1851, in a field that was part of the holding of Thomas Blackwell of "Smoky Hall". The mill came later into the possession of Ephraim Holloway and it was to this mill that the many gleaners of the corn fields carried their gleaning' to be ground into flour, the miller retaining the "offal" as his payment. The windmill is the end of this wander into the past, it is all past, but the, story of the Green will go" on - new buildings replacing the old, new people too as well as new memories, there is room for the past but one has to look forward into the future for that is what living is for.